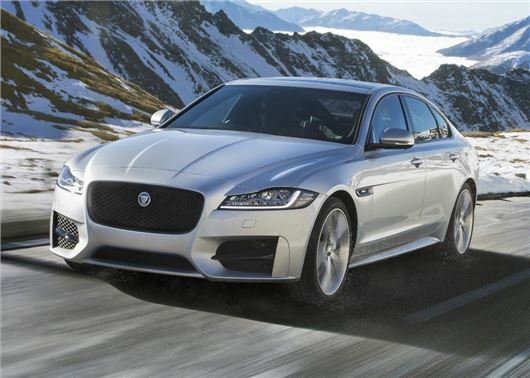 Jaguar has updated the XF range for 2016 and added all-wheel drive to the options list. The torque on demand AWD is limited to the XF 180PS 2.0-litre Ingenium and will reach showrooms in the spring 2016, with prices starting from £36,350. The all-wheel drive system has been developed in-house by Jaguar and is identical to the one found in the F-Type AWD, with torque being delivered to the front axle when loss of grip is detected. All XF AWD models get Land Rover's Adaptive Surface Response (AdSR) technology as standard, allowing the driver to optimise the throttle, automatic transmission and traction control to cope with everything from light rain to heavy snow. The AWD system is available with just one four-cylinder engine - 180PS Ingenium diesel - linked to an eight-speed automatic 'box. Claimed economy will be a respectable 57.7mpg and 129g/km of CO2. AWD diesels will also achieve 0-60mph in 7.9 seconds. The Jaguar XF AWD is available to order now and deliveries will commence from April, with prices starting from £36,350.